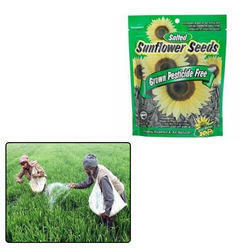 We are manufacturing and supplying a broad range of Agrochemical Pouches for Agricultural Use. which are manufactured from high grade quality raw materials. These Agrochemicals and Pesticide Packaging Pouches can be customized as per our precious customers specifications. We make sure that these pouches are durable and exhibit good resistance against tear. Looking for Agrochemical Pouches for Agricultural Use ?